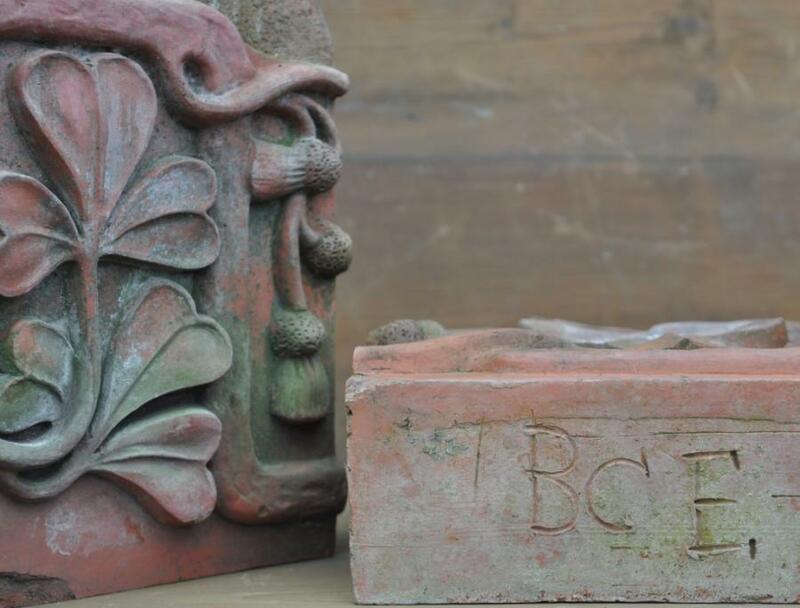 An antique set of 3 large decorative terracotta bricks with flowing shamrock and thistle decoration moulded in relief.Victorian. They could be scrubbed clean to even up the colour if required - they have been face up outside for some time. BCE imprinted to the outside. 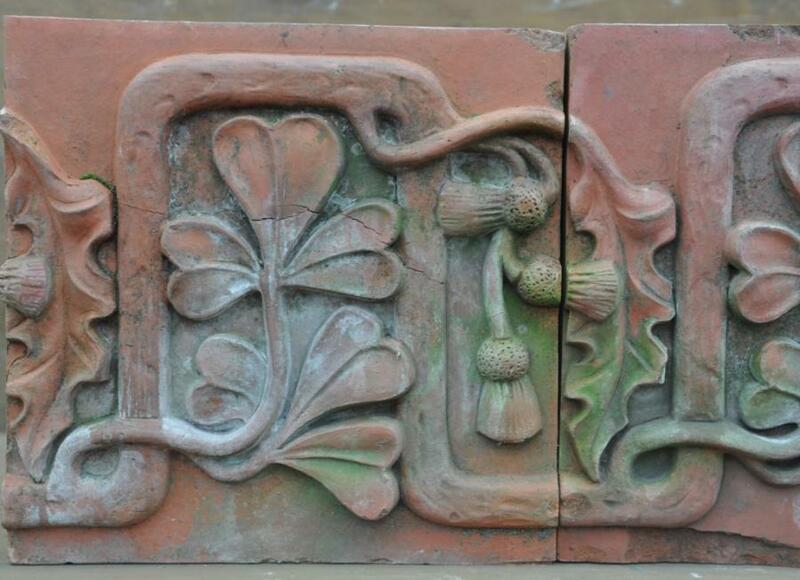 Dimensions in inches/cm; 40.75/103.5 wide by 13.25/34 high Depth is 5.5/14 max and 4.5/11.5 built in depth Part of a collection of decorative terracotta i am now advertising. 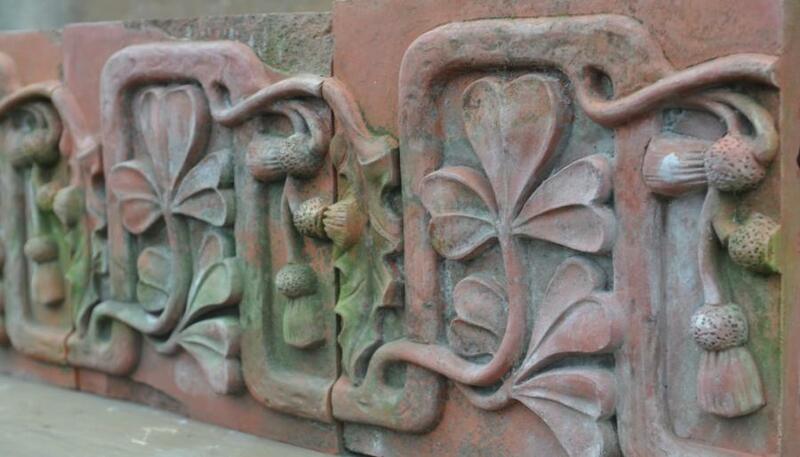 All reclaimed from English Victorian buildings over many years. For an overview and price list of all the collection please email me and i will send the word document. Also please see other adverts.